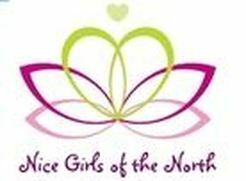 At the Nice Girls of the North Second Saturday Market you'll be treated to free coffee, cookies and door prizes, lively music and a friendly atmosphere. Browse a collection of handcrafted clothing and bags, pottery, jewelry, stained glass, photography, personal care products, baby items and much more. Artists are on hand as personal shoppers to help you select just the right one-of a kind gift for every occasion. One central checkout adds convenience and major credit cards are accepted. Come visit our shop and "like us" on Facebook.